Not Recommended For: Diners who may prefer a menu with more comfort food in a more casual setting. Liquor: Extensive wine list, specialty cocktails. 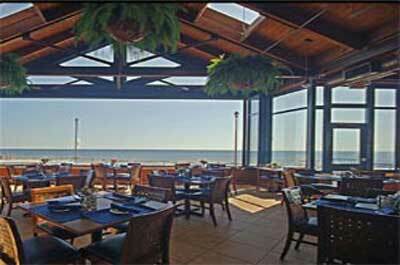 Dauphin Grille (Dauphin French for dolphin) is located a block from the beach near the Asbury Park Paramount Theatre in the renovated Berkeley Hotel. This is one of the many restaurants in Asbury Park run by Marilyn Schlossbach and her brother Richard Schlossbach. Their other Asbury Park restaurants are the Langosta Lounge, Pop's Garage, and Labrador Lounge. The kitchen is run by Owner/Executive Chef Marilyn Schlossbach and Chef du cuisine Joseph Maggelet. Together they have teamed up to serve a simple, seasonally changing menu with a European influence using sustainable, local food from local farmers. 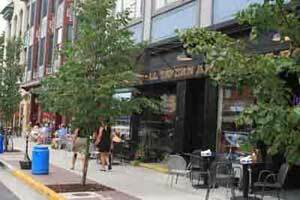 The regular menu offers a limited selection of uninspiring, affordably priced dishes. However, they also have a decent selection of daily specials that provide a nice upgrade in both in quality and creativity for more inspiring dishes. 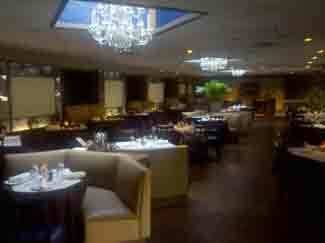 The interior of the Dauphin Grille is casually elegant with art decco influences. Many of the interior fixtures have been retained either from the previous restaurant or from other rooms of the Berkeley including the flooring, the bar, the chairs in the seating area, and the attractive chandeliers. The bar area is attractive with a pool table and tables for dining, attracts an upscale local crowd as well as their hotel guests. With soft, dim lighting and tables spaced apart, the dining area is a good spot for an intimate romantic dining experience. In the warmer months there is outdoor dining on the patio with a koi pond. They also have a pool side tiki bar that's open Friday, Saturday and Sundays when the pool is in operation. The hours are seasonal. In addition to dinner, they serve a Euro style breakfast on Saturdays, Sundays and Holidays, and lunch on Saturdays, Sundays and holidays. Please call ahead to confirm breakfast, lunch, and dinner hours as they change with the seasons. Dauphin Grille hosts private parties with a private room adjacent to the bar and dining room. Additional private room options are available in connection with the Berkeley Hotel. 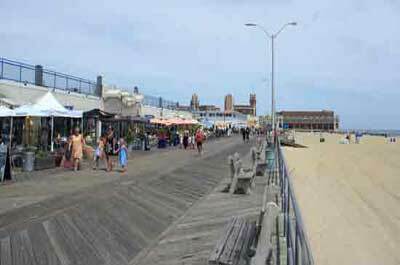 Discover the popular Asbury Park restaurants with ratings and reviews. How Do We Rate and Review Restaurants? New Jersey Leisure guide contains the largest source of extensive and unbiased New Jersey restaurant reviews. Learn more about the process we use to rate New Jersey restaurants.